Do you wish to host your own screening of ASK? 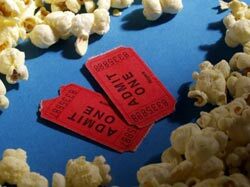 Here are some helpful suggestions for how you can host your own screening in your home, with small or large groups, at your school or church — just about anywhere you want. Get the documentary. We strongly encourage you to download the film to a laptop computer prior to screening it. You can also order a DVD copy if you wish. Many laptops have HDMI output that can easily be connected to a television, and by downloading the documentary in advance, you can avoid any issues with buffering / Internet connectivity during your screening. Choose your location, date, and time. You can hold a screening at your house, your place of worship, a local school or community center. Be sure that whatever venue you choose has the proper equipment to show a film. As mentioned above, with a laptop and a television, you can easily host a screening yourself. Many venues can also connect a laptop to a projection system, but if not, be sure to allow yourself plenty of time to order a DVD. Please note that depending on the location, you may have to make a reservation or pay a fee to use the space. Advertise your event. There are many ways to publicize your event. Write emails to family members, friends, neighbors, and community members. Ask people to RSVP for your event online via Facebook or Evite. Ask your school, place of worship, and any other organization you are a part of to help you publicize your film screening. Post flyers in your community and make announcements at community events and online through social media to let everyone know about your event. Prepare materials. Consider printing copies of the ASK Personal Reflection Guide and the ASK Group Discussion Guide to hand out at your screening. We believe that the film has the greatest impact when a time of discussion follows the film. Prepare the location. Make sure the seating arrangements will accommodate the amount of guests you are planning to have. Set up a table with the materials you prepared so guests will see them when they arrive. It might also be helpful to have the film ready before guests arrive so all you have to do is press play. Depending upon the venue, providing beverages and snacks may help to make the atmosphere more relaxed and inviting. Start the screening. Welcome guests and thank them for coming. Discuss what made you decide to host the screening. If you'd like, give them a couple questions to think about during the film. Discuss the movie. Ask the audience about their initial reactions. Discuss major themes and be sure to talk about why or how the film is relevant to them personally. Be sure to thank your guests for coming and find out who is interested in future events. Just because the screening is over doesn't mean you're done! Keep in touch with guests who attended the event, and be sure to follow through on ideas that came out of your discussion. If you weren't able to get everyone to your first screening, hold another and be sure to invite your friends, family, or community members who weren't able to come. Email us at and give us your feedback. Information based on guidelines previously created by United to End Genocide, and shared courtesy of the Enough Project. To learn about the Enough Project, visit www.EnoughProject.org.